Two of our drivers have been shortlisted for the LGV Driver of the Year Award at this year’s Talent in Logistics Awards. Lee Hemming, 45, of Rugby, has been an LGV CE Driver with us for almost nine years. Having begun work as a van driver in 2007, Lee has subsequently worked his way up within the firm to the status of driver and driver trainer. 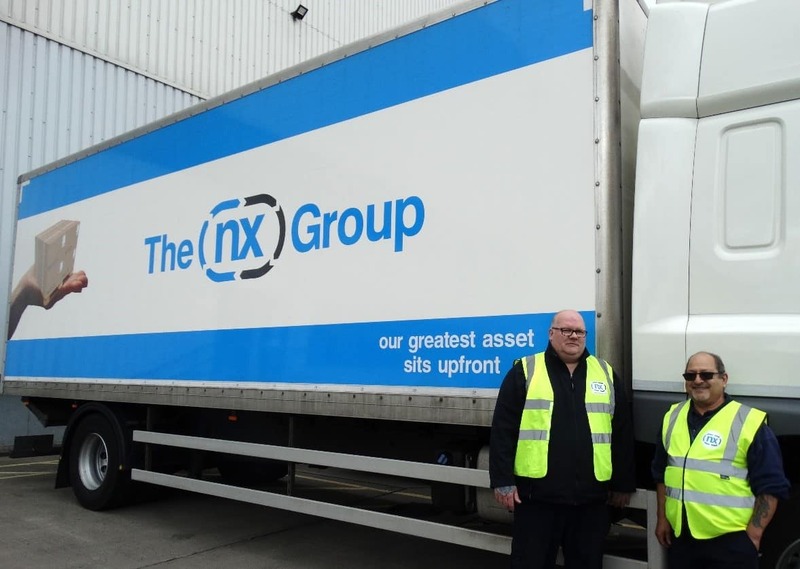 He completed his Driver Trainer Assessor course a year ago through LGV Trainers in Northampton, allowing him to train new drivers and assess other drivers’ performance. Lee has also implemented training across our logistics division. Enzo Cotugno, 63, also of Rugby, joined us as an agency driver several years ago and has been a permanent LGV CE Driver with us for the last 18 months, though his experience as a bus and truck driver spans 25 years. He is an ambassador for our drivers, having recently been voted Driver Representative for the next three years. Enzo is also an active fundraiser for our chosen charity, the Motor Neurone Disease Association (MNDA), and is a regular contributor of ideas throughout the company. Lee Hemming and Enzo Cotugno, who have been shortlisted for LGV Driver of the Year at the 2019 Talent in Logistics Awards. The live grand final of the Awards will take place during the Talent in Logistics Annual Conference at Hilton Double Tree in Milton Keynes on Thursday 27th June, where all shortlisted drivers will compete across several knowledge-based and practical challenges. This will be followed by a black-tie awards ceremony presented by a celebrity host, consisting of a dinner and drinks reception and late-night entertainment.